Artistes take jab at each other on social media. 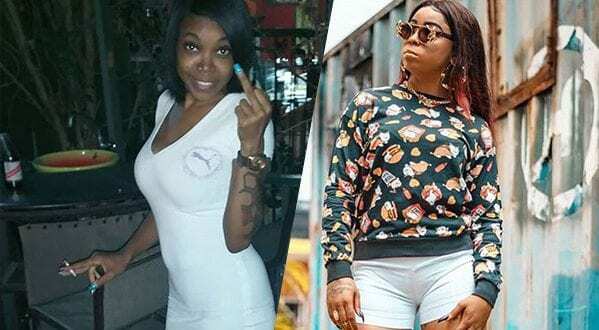 Dancehall female deejay Lisa Hyper and Clymaxx seems to be heading down the warpath following a few heated social media exchange earlier this week. A post made by Lisa Hyper a few days ago, suggested that she and another artiste were not on good terms, but it was not aimed at anyone directly. However, a post made by Clymaxx yesterday, confirm that she was the target of Hyper’s Instagram rant. Lashing out in a post of her own Clymaxx did not mince words as she called out Hyper for trying to start a feud. In her post Clymaxx expressed that the source of Hyper’s anger was stemming from her decision not to book her for an event she was hosting. The farmer Magnum Queen of Dancehall revealed that after hearing Hyper’s booking price she did not feel that the artiste was worth it. In an interview with sources Clymaxx said that these communications were in February and revealed that since then, Hyper has been taking subliminal jobs at on social media. “I didn’t actually respond to her when she told me our price, I just said OK, thank you and whatever. Then she put up a post about this other girl that says she a Gaza Queen and a put out reminder say she a dancehall lyrical queen. So I made a subliminal post saying some people woulda say me shoulda do music long time so I coulda f**k Addi (Vybz Kartel) too. So she start post subliminal diss and den she screenshot Wah me did ask her bout the same performance saying me a beg her a collaboration and how me babyfada nah buss me and she nuh trust me and a bagga things. Overall she just seemed to not have liked me from morning.” She said. Clymaxx said that she was a genuine fan of Hyper but says her attitude has made her an enemy. She says now that’s the battle lines have been drawn, she will be taking the ‘war’ to Hyper beyond a social media platform. Clymaxx continued to say that she’ll be releasing a diss tracked aimed towards Hyper. Well aware that people will say she is using Hyper’s name and reputation to broker a ‘come up’ in the business, Clymaxx says the latter is exactly what music is about.